Every year I get so eager for spring and summer to begin so that we can fire up the grill! This year, sadly, I can only “fire up” the George Foreman as we don’t have a grill at our new apartment…but that works to! 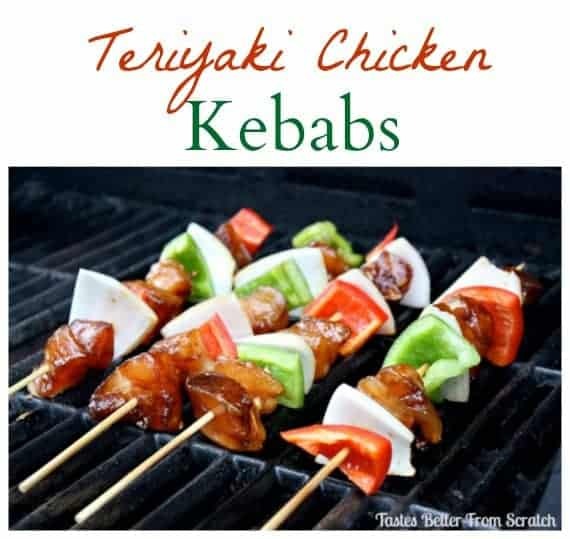 These Teriyaki Chicken Kebabs are probably the easiest, cheapest thing you can make on the grill plus they’re delicious and healthy! 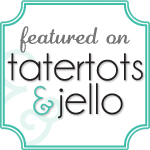 I like to have some pre-made teriyaki sauce in the fridge so that I can just grab a few chicken tenders from my freezer, throw them in the fridge with the marinade, and forget about them all day. Then it takes me all of 10 minutes that night to chop some vegetables and make my kebabs. Preheat grill. 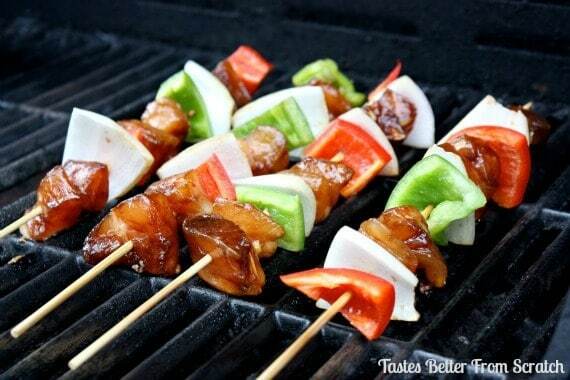 Soak the bamboo skewers in water for 20-30 minutes to prevent from burning on the grill. In a medium bowl, whisk together the teriyaki ingredients–soy sauce, water, sugar, worcestershire sauce, vinegar, oil, garlic and ginger– until sugar dissolves. Pour teriyaki marinade into a large, resealable plastic bag.Cut chicken into bite-sized chunks and add to marinade. Allow to marinate for at least 30 minutes. Cut peppers and onions into bite-sized chunks. 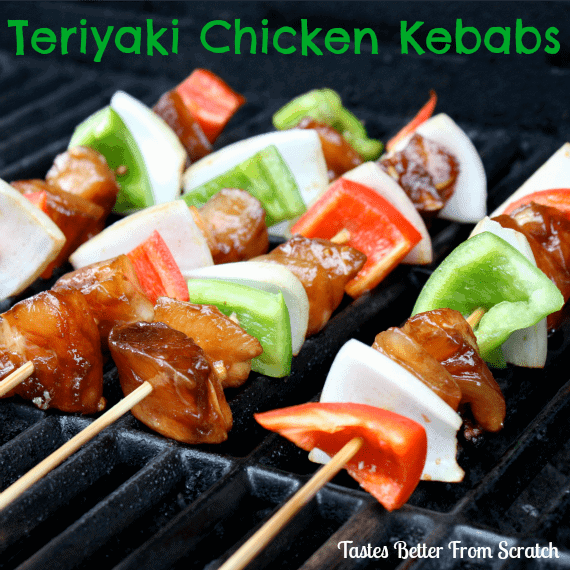 Assemble skewers by alternating with chicken, peppers, then onion. Place on grill and cook for a few minutes, turning occasionally, until chicken is cooked through. I enjoy almost anything cooked on a grill, just too yummy! These kabobs are simple and fast, what’s not to like? !